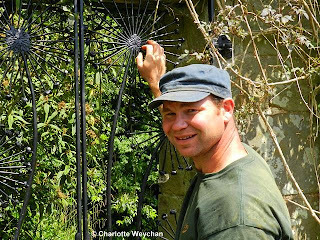 Following in William Robinson's footsteps can't be easy, but if anyone is prepared to face the challenge it's Tom Coward, head gardener at the legendary Arts & Crafts gardener's home, Gravetye Manor in West Sussex. 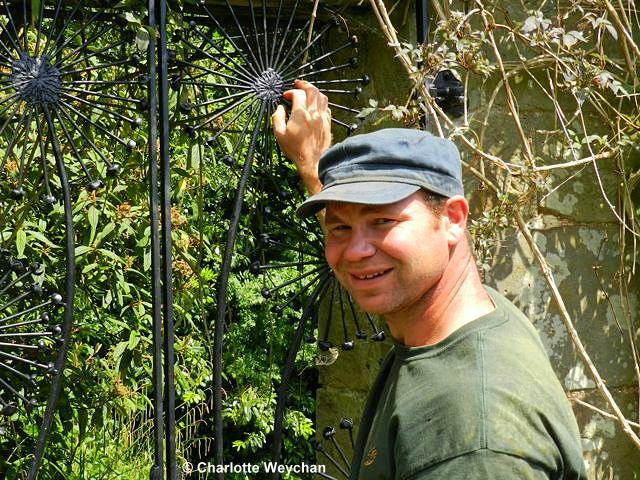 Now a luxury hotel and part of the Relaix & Chateau chain, Tom joined the team when the hotel was bought last year and his brief is to restore the garden to its former glory. And he looks set to succeed because, just like the finest wines on the hotel's wine list, he has an impeccable provenance, having spent three years working with Fergus Garrett at Great Dixter before coming here. 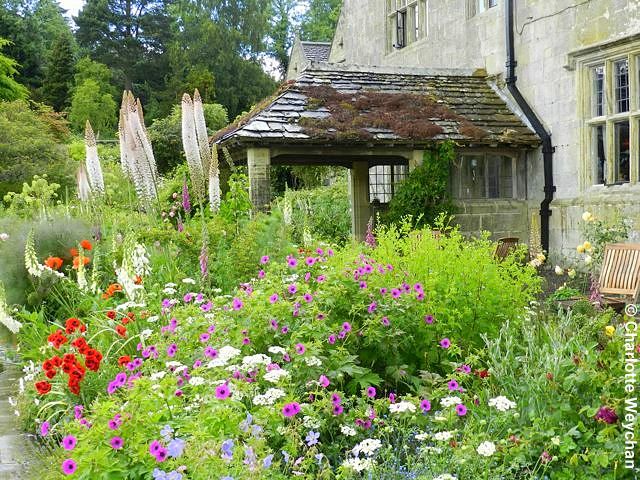 I first visited Gravetye Manor a year ago and although I loved the garden, it was painfully obvious that it had become tired and overgrown, due to years of neglect. Tom arrived in July last year and is the first to admit that his very first task was to wage war on the bindweed (Calystegia sepium) that had infested all the formal borders. Just nine months later, the garden is transformed and the magnificent borders adjacent to the house look incredibly healthy. The short term plan is to keep the area filled with bulbs and annuals, planted in naturalistic style until the bindweed is finally beaten. There's little doubt that Gravetye is historically important, given that it was home to William Robinson for 50 years. So I was really encouraged to hear that the new owner is committed to restoring the garden to its former glory and has worked out an initial five-year plan with Tom Coward, which includes not just the restoration of the areas adjacent to the house that are seen by the hotel guests, but also the landscape features, kitchen garden and glass houses. Tom is more than happy with his brief, and aided by "four and a half gardeners", he's thrown his heart into the project. "Weeds and deer are the biggest problems here", says Tom, when you ask him what he feels about his new position, and he goes on to explain that although the garden looked good on the surface in the past, there had been neither time nor funds to address the underlying problems. Most of the first nine months on the job has been spent sorting out the weeds and erecting fencing to keep the deer out. Only now can he begin to think ahead. One of the most interesting parts of the Gravetye garden is the walled kitchen garden, which provides many of the vegetables on offer in the gourmet restaurant at the hotel. Its use will remain the same, but ongoing work includes restoration of the garden, and replacing paths and gates. 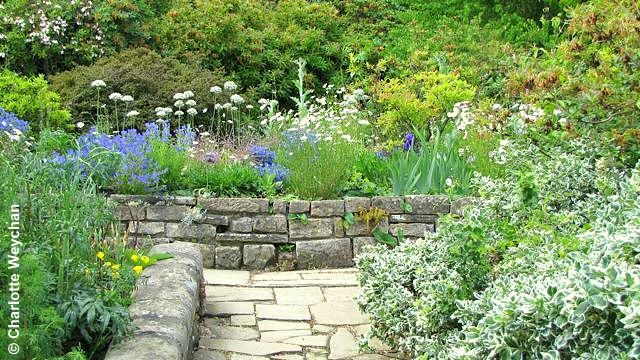 When I was there today, there were path samples in situ and a lot of work in progress, but Tom plans to make something really special out of this part of the garden so that visitors will want to visit the kitchen garden just as much as admiring the borders. Another major restoration project is the glass houses.There are currently four Foster & Pearson glasshouses in the garden, as well as two original Victorian cold frames and a 60ft peach house. "These are the best ever made", enthuses Tom, "and the plan is to restore them to their original state". Another ambitious plan that looks well on the way to fruition, judging by the one that's already been restored. What impressed me most about my visit was that everyone involved in this project is extremely enthusiastic, from the staff on reception at the hotel, to all the gardeners at work outside - there were smiling faces everywhere and a very warm welcome. This is a really stunning garden, and promises to become even more so under Tom Coward's stewardship. Hotel guests get free run of the garden, but it's also open to outsiders on Tuesdays and Fridays - my advice is to take lunch at the hotel and wander around the gardens afterwards. 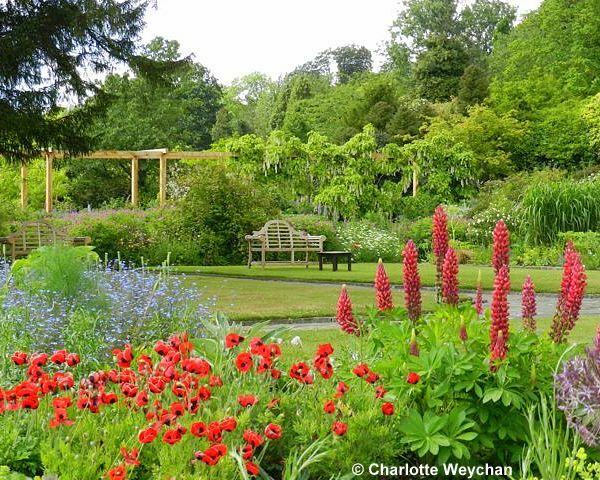 It makes a perfect day out and serious gardeners may also want to visit Wakehurst Place, which is just a couple of miles down the road. Thank you for the lovely tour. With all the enthusiasm and talent, this garden will be restored to its former glory, and then maybe even more. The photos are lovely and I always enjoy reading your commentaries! This is a garden I would love to see. I am a fan of William Robinson so to see his garden would be really important for me. One day....... until then your tour is excellent- thanks you. That is a great post and wonderful photography. I didn't know there were Relaix&Chateau properties in England, but my husband and I stayed in several of them in Spain - an unforgettable experience. Thank you for bringing back some nice memories. Thanks for sharing but may I ask why "four and a half gardeners?" Sorry Born, I should have explained ... because one only works part time. I love Tom's comment about weeds and deer being the biggest problems. For me it would be weeds and rabbits, so I can relate. Beautiful gardens! 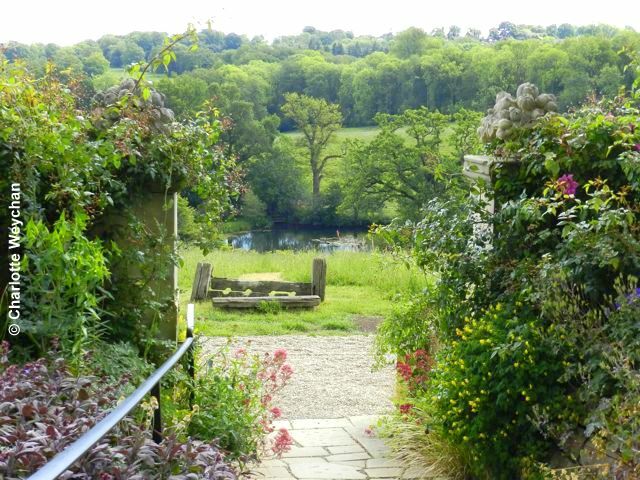 The view across the main garden is particularly lovely! Good to see gardens getting restored. The gardens look fabulous to have such problems with weeds and deer. 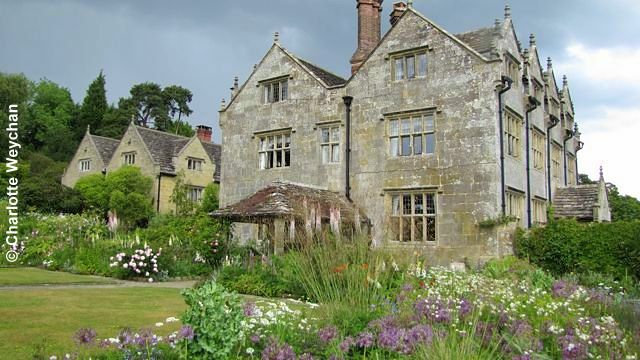 Glad to hear that things are looking up at Gravetye - I had heard the previous hotel business had failed, and that there were concerns about what would happen to the gardens. But it now looks as if that was a blessing in disguise.